If you’re like most people when the holidays come around your mind goes into a panic spending mode. We don’t even think about the consequences of overspending during the holidays and if we do, we think “I’ll charge it.” Then we work the rest of the year to pay off what we bought for the holidays. As soon as November comes around we automatically go into spending mode. With no regard to our finances, we over spend. Some of us even plan to open a new credit card around November for the holidays. Even worse some people spend on their credit cards and know that their payments will be late due to their lavish spending. The truth is most of us don’t plan ahead and don’t put in affect a holiday budget. Why do we lose our minds when it comes to holiday spending? There are a few reasons for this, one is guilt. Guilt because we guilt ourselves into believing we have to buy more things that no one really needs. Another is tradition; we believe it’s tradition to spend tons of money on our loved ones during this time of year. So how can we stop ourselves from the mindlessness of holiday spending? 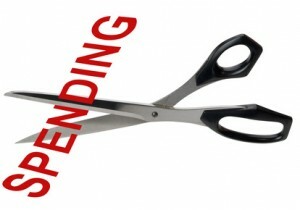 I’m going to show you how to plan for it and cut back on the bad habits we do during on holiday spending spree. Talk with your family and friends about holiday spending and decide who you will be buying for and a max spending amount for those people. For example, we do this friend gift exchange where you choose one person in the group and you spend a total of 40 dollars on their gift. There are 5 of us in the group, so instead of buying 5 gifts we buy 1. That way we all leave with a gift and we all saved money. This reduces the stress of buying for so many people and opens a door to buy quality gifts instead of quantity on cheaper gifts. My favorite gifts are always the handmade items I receive. I love my handmade gift basket I got this year filled with organic handmade bath products. We so often get stuck on the name brands or the newest best thing that’s all over television. We end up forgetting that sometimes the simplest things are the ones that fill us with the most joy. When I get that tin filled with homemade cookies sent to me every year, I can’t tell you how much joy I receive from eating those. They bring back all the childhood memories of past holidays. Try to think outside the box and go to your local farmers market to find unique gifts or make your own cookies/ goodies. The handmade items show more thought and love then any material item can. There are a few simple steps I follow when I do my holiday spending. Plan ahead for big purchases– if you know you have a big gift to get, start saving for it at least 2 months ahead of time. Here is a brilliant way to reduce stress on you during holiday spending, make the wise decision to plan all year for it. My Mom starts shopping in June for the holidays. Each month she buys a present for someone. This makes it easier when the holiday hustle and bustle comes around she’s ready and now she can still shop if she wants with no pressure to buy all at once. Another idea is to set aside a certain amount of money weekly for holiday spending. You can decide on 10 dollars a week or 20 dollars every month. 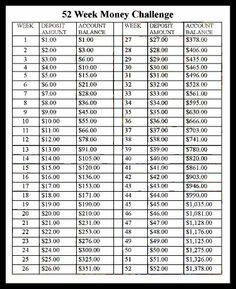 Either way this is a brilliant idea on how to have less stress for you and your holiday spending. There are so many different approaches and options out there, but the bottom line is if we plan right and think ahead we can cut our mindlessness of holiday spending right out. Then we can become the wise holiday shopper, who isn’t panicked, and not overspending or putting ourselves in debt.